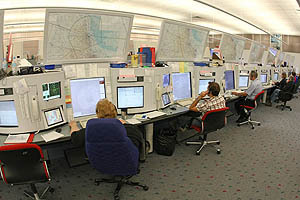 Air traffic control is used to manage the safe and orderly flow of aircraft into, out of, and across Australian airspace. We use systems and processes to minimise the risk of collisions, while allowing the maximum number of aircraft to fly safely in our skies. Each year we safely manage 11 per cent of the world’s airspace where there are more than more than four million aircraft movements carrying more than 152 million passengers annually. We deliver our services from 28 air traffic control towers, two major air traffic services centres and two terminal control units. Our air traffic controllers manage aircraft through all phases of flight, from terminal gate to terminal gate. The level of service provided by controllers varies depending on the class of airspace. There are three broad categories of controllers: enroute, terminal and tower. You can find out more about what they do under our careers section. Airservices manages 11 per cent of the world’s airspace. 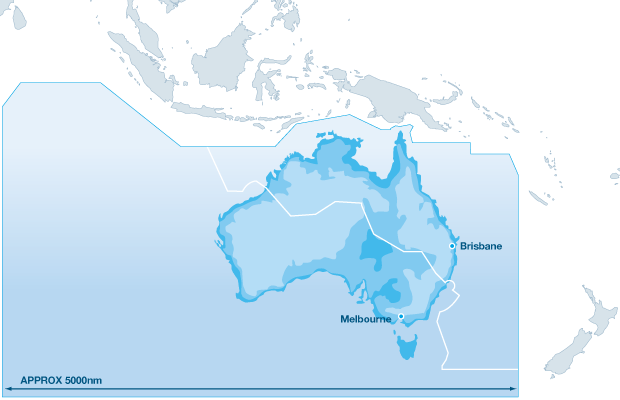 Our area of operations covers the Australian Flight Information Region which includes the nation’s sovereign airspace and international airspace over the surrounding oceans including the FIR’s of the Solomon Islands and Nauru. We are responsible for the airspace stretching in latitude from two degrees to 90 degrees south; and in longitude from 75 degrees to 163 degrees east. This is an area of almost 20 million sq nautical miles (51.7 million sq kms) – or some 11 percent of the world’s total airspace. A graphical representation of Australia’s airspace. We provide our services in accordance with Civil Aviation Safety Authority regulations. Its airspace role is carried out in accordance with the International Civil Aviation Organization airspace classification system.